Action sports rewind and spin around a slice of what’s happening in skateboarding and BMX Freestyle for September 5- 13, 2015, including Toul BMX Jam results, World Skateboarding Federation current street skate rankings, a trip back in time to the 1990s and Element’s Skypager video, and a look at Drew Bezanson’s Uncontainable video. It’s going to be a bumpy ride, so jump on a Descender all-terrain board! In an industry that has many charities that give back to the community, Boards for Bros is one of the best causes skateboarding has to offer; its mission is to “inspire kids to use skateboarding as a gateway to a healthy life by giving them refurbished skateboards through a joint industry effort.” It started 10 years ago with a bunch of skaters getting together to set up boards they donated to kids for the holidays. It has become a year-round way of giving to kids who might not otherwise step on their own skateboard. 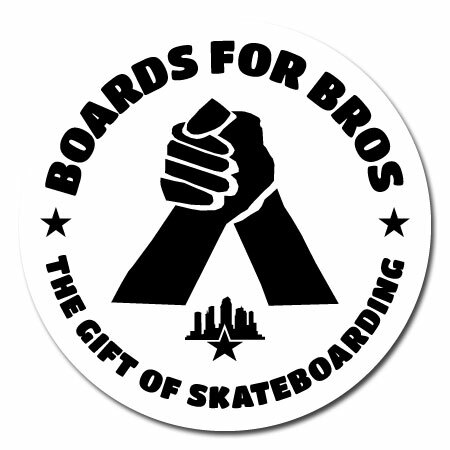 Boards for Bros is affiliated with the SkatePark of Tampa and became a non-profit last year. since 2006, Boards for Bros has been passing on the legacy of skateboarding by providing reconditioned and new skateboards to kids in need. In 2010, Emerica got on board and has been in partnership with Boards for Bros, as the organization provides assistance with skate equipment as well as mentoring year-round. Think about how much skateboarding opens your eyes to see the world differently. World Skateboarding Federation (WSF), a governing body for skateboarding, released its ranking system for street skateboarders and announced it will host a series of educational seminars during the 2015 Skateboarding World Championships at the Kimberley Diamond Cup in South Africa Oct. 7-10. WSF’s ranking system is based on the top contests in the world, with weighted values for contests with a national broadcast, international broadcast, or prize purse over $100,000 for men’s street. Individual skaters are ranked based on their contest performance in the top skate events globally, including the Skateboarding World Championships, X Games, Dew Tour, Street League, Copenhagen Pro, Tampa Pro, Simple Sessions and Mystic Cup. The final events of the year for skaters to earn points to advance in the rankings are the Street League Series finals Oct. 4 and the WSF-sanctioned Skateboarding World Championships Oct. 7-10. I saw Jefferson Pang when I was at an event recently, and I had a flashback to the early 1990s when I lived in New York. There was an energy and excitement, a fomentation that changes were emerging in action sports. So I delved into videos, through the rabbit hole, specifically to the 1993 Element Skypager video. It’s raw, it’s gritty and captures the vibe of the East Coast, with more uneven pavement per second. Pang was New York’s first pro street skater and he has been a trailblazer within the industry ever since. Skypager also includes Harold Hunter and other denizens of NYC skateboarding in the early 1990s. It’s fun, it’s silly and the skating is gnarly; it took me back to a more carefree time. Descender is an all-terrain skateboard-- a board with tank-like treads, so skateboarders can take skating off-road. The promotional video says that it navigates on any terrain, even snowy hills or wooded paths. It definitely is a board, but the tank treads make it more ..tank-like. It’s definitely not a board for doing traditional street skating or bowl riding, unless of course someone has the opportunity to carve the surface of Mars or the Moon! It’s pretty rad, and I would highly recommend pads and a helmet for escapades of the Descender. 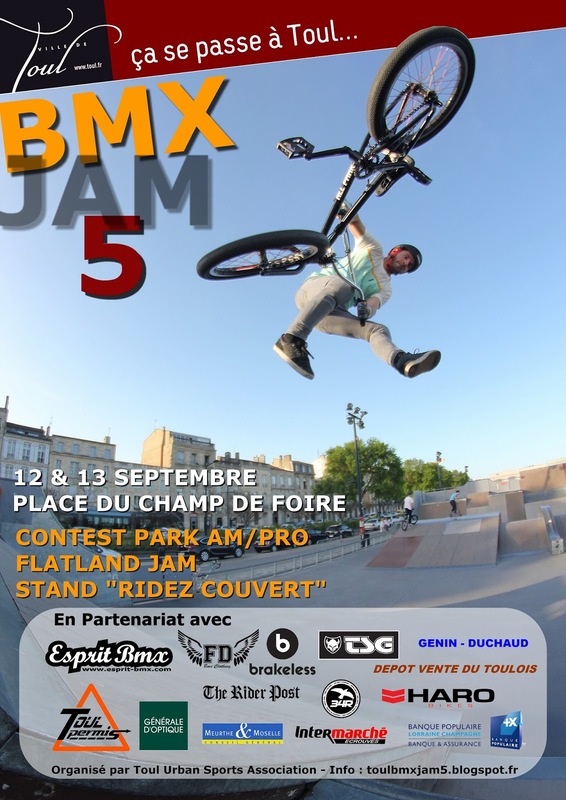 The Toul BMX Jam went down in eastern France, in Toul, September 12-13, 2015, with contests in BMX Park and Flatland. Drew Bezanson is one of the best BMX Freestylers around, with many years of experience, a ton of titles, and an amazing arsenal of tricks. His latest project, Uncontainable, is the video that documents his collaborative creation of a gigantic ramp set-up from shipping containers. Bezanson’s need to feel fear ultimately meant building something that would actually be massively huge. Bezanson is daring--even among BMX riders, always looking to push the boundaries and annihilate his comfort zone.. His Uncontainable project created some absolutely frightening-sized, breathtaking riding. The floating, curved wall ride suspended over a gap between two columns of shipping containers, and the drop in to the ramp from the top of four shipping containers as to be seen to be believed. Not only is Bezanson’s riding amazing, the filming and editing really captures the vertiginous quality of the whole thing- amazing! Watch at Red Bull BMX.